As the global conservation community votes to strengthen protection for pangolins at the IUCN World Conservation Congress and the upcoming CITES CoP meeting, a new spate of prosecutions against illegal pangolin traders in Cameroon is a huge triumph for the future of the the world’s most trafficked mammal. Four poaching suspects have been sentenced to jail time and ordered to pay thousands in fines following a successful MINFOF (Ministry of Wildlife and Forestry) led anti-poaching patrol in Cameroon, supported by ZSL. The arrests happened in the Dja Biosphere Reserve (DBR) reserve in October 2015 thanks to more effective patrolling. A total of 86 pieces of bushmeat, including four from chimpanzees, seven from giant pangolins, and a plastic bag full of giant pangolin scales had been seized and the project team next focused on ensuring sound convictions. These items were to fuel the black market in Djoum town - an illegal wildlife trade hub in the region. 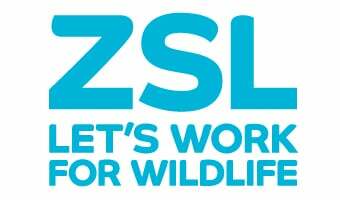 ZSL has been working closely over the last few years with the Dja’s legal unit to avoid wildlife crime cases being dropped or suspects released due to some procedural omission, such as follow up protocols, evidence gathering, and offence statements.This case was the acid test of all that work to date. In February 2016, the suspects went to trial and were found guilty being sentenced to five months imprisonment, and ordered to pay fines of US$ 110 each as well as US$ 2,000 of damages. This sends a sufficiently serious message for people to understand that wildlife crime now goes beyond ivory to integrate other species’ animal parts. The gravity of the message is not to be underestimated: in Djoum town on the day of the sentence, a commercial “bike rider” was astonished about “someone going to prison” for pangolins scales and meat. This case is unprecedented and has touched the minds of local people raising the profile of the world’s most trafficked mammals (pangolins) and the threat to their survival in this area of Cameroon. The illegal wildlife trade remains one of the world’s most lucrative businesses with many underworld cartels, profiteers, and rebel groups involved. This trade increasingly drives the demand for African wildlife parts, such as ivory, pangolin scales and luxury bushmeat. In recent years, Central African countries, including Cameroon, have been identified as a global source of illicit wildlife. ZSL is working with the Cameroonian Ministry of Forest and Wildlife (MINFOF) and other partners to diminish the impact of the commercial wildlife trade around the Dja conservation landscape in southeast Cameroon for some time. Strengthening protected area management has been a priority. For example, SMART anti-poaching patrols within and around the DBR help to ensure effective patrolling and arrests. And to date training in investigation and legal procedures has helped ensure successful prosecutions. We believe that additional training and follow-through with rangers in evidence gathering, offence statement writing, and more formal engagement with magistrates will improve wildlife law enforcement to help stop large-scale commercial poaching and other seized illegal items fueling the black market. While this most recent news will hopefully serve as a deterrent to poaching pangolins in the DBR, it also serves to highlight the relationship between the DBR’s legal unit and the Pangolin Conservation Initiative’s Cameroon team, which together helped to bring about the prosecutions. This work is part of ZSL’s Pangolin Conservation Initiative, a two-year project funded by Fondation Segré and Save Our Species, which is helping to protect four species of pangolin through supporting anti-poaching patrols and law enforcement at key sites in Cameroon and Thailand, and by initiating work to reduce demand for pangolin products in China.